UPDATE: The cruise ship will attempt to dock early Saturday morning around 02:00 if winds die down Friday evening. Embarkation will commence at 08:00 on Saturday. Winds have been howling in the Mother City this week, and conditions have affected the luxury MSC Musica cruiser scheduled to dock in Cape Town yesterday. Due to adverse weather, the cruiser has been stuck out at sea for over 24 hours. #CPTTraffic The MSC Musica is still out at sea and an attempt will be made to dock her this morning. If she docks, then there will be heavier volumes of traffic coming into town via the elevated freeway. This will be decided after 8 this morning. A passenger tweeted a letter put out to fellow passengers by MSC, noting that MSC was continually monitoring the situation, and that Captain Pinto would communicate to passengers once clearance is given to dock. City of Cape Town Traffic Service's spokesperson, Richard Coleman gave us the latest this morning, saying: "The Captain of the MSC has refused to lift anchor until the wind drops. They will review at 10h00 today." The delay has some implications for travellers as the same cruiser is scheduled to leave for PE and Durban today. We are continually monitoring the situation. 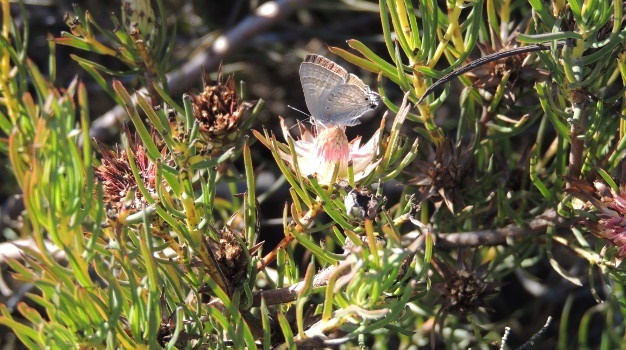 Cape Town to challenge San Francisco in City Nature BioBlitz - come join in!